A nice crisp feel due to its monofilament core construction. 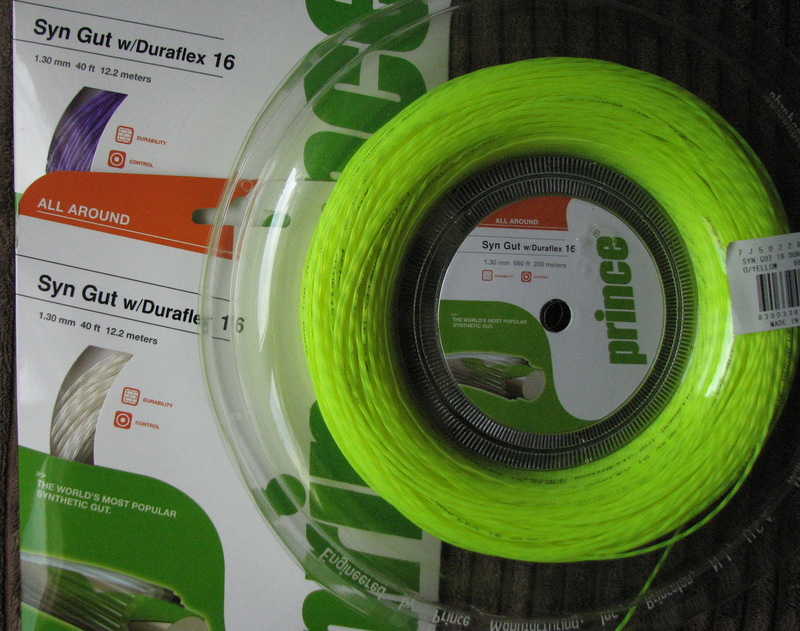 This string offers excellent all-around playability and decent durability. Polys - control and spin generation. All the durability and tension stability of the extremely popular Pro poly plasma string without the questionable orange colour. The Poly Plasma in a new, optimized version which plays a bit softer and more comfortable compared to the classic Poly Plasma. It is called PURE because no pigments have been added. Hexagonal shaped Co-polyester string and New optimized molecular structure (without any colour additives) gives exceptional spin, minimum tension loss, excellent ball control, high dynamic power, excellent playability and comfort. 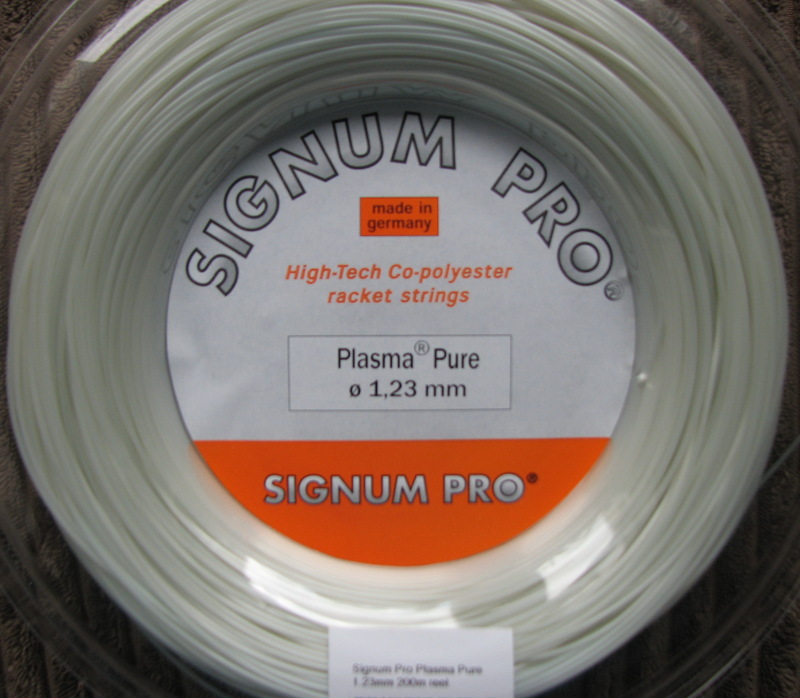 This monofilament core finished with high polymer polyester is a durable string that is great for big hitters. 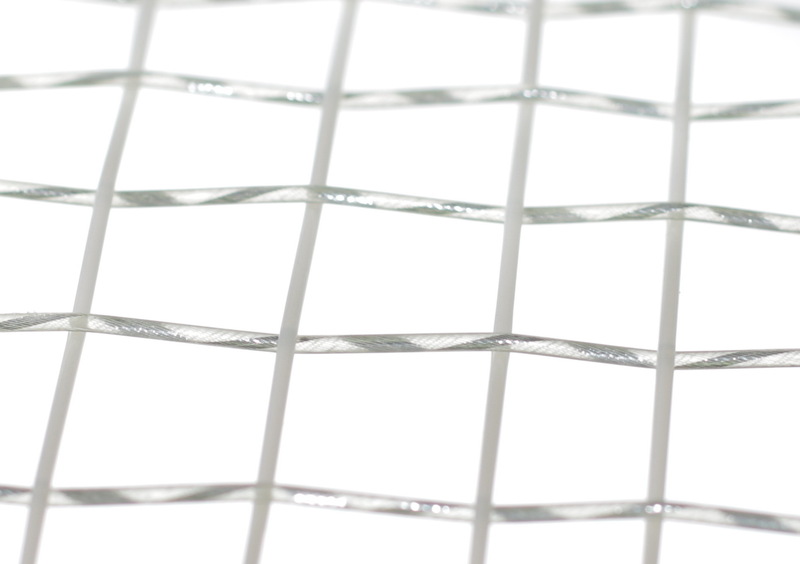 As a softer playing poly string it provides a comfortable feeling, while the string bed supresses shoulder and elbow fatigue. This string is incredibly spin friendly. Power players will appreciate the control and feel they get from all areas of the court. Available in Yellow or Black. Hybrids - poly control softened by a multi or syngut in the crosses. 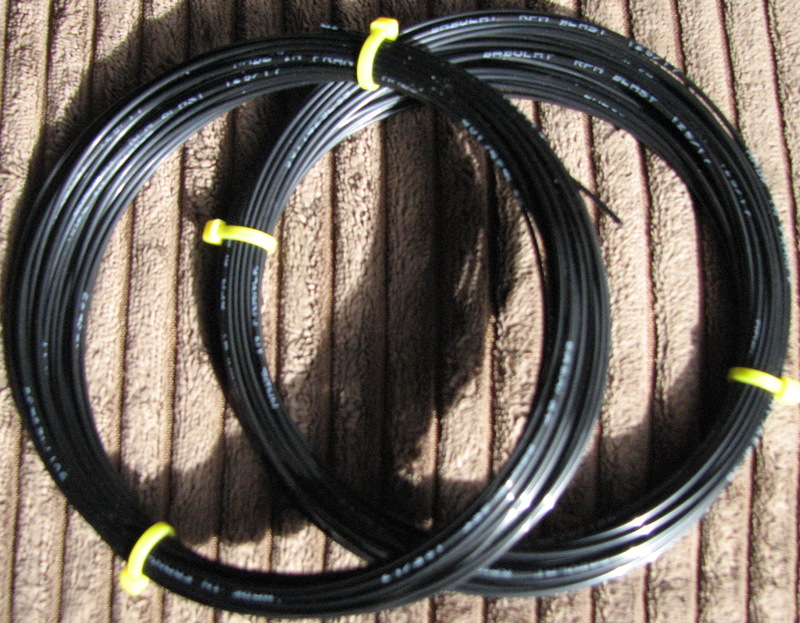 Multifilament - playability and comfort. 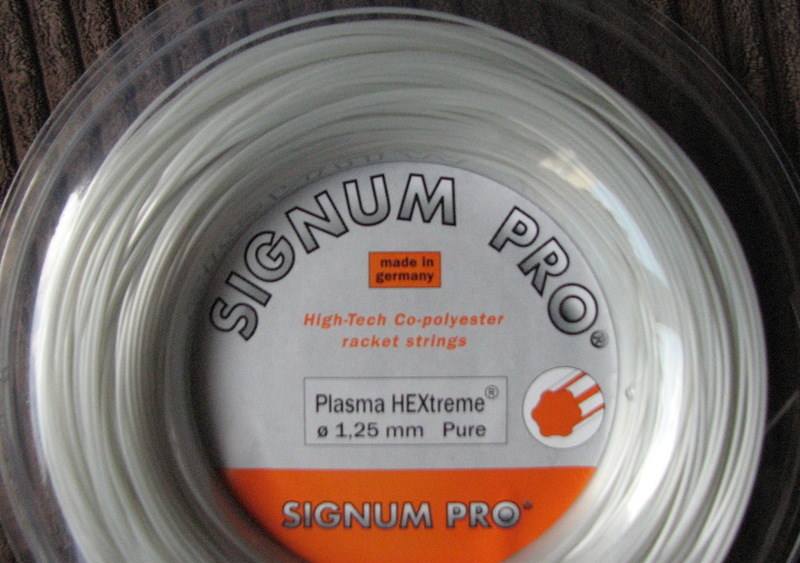 A comfortable playing string with a nice blend of feel & playability. 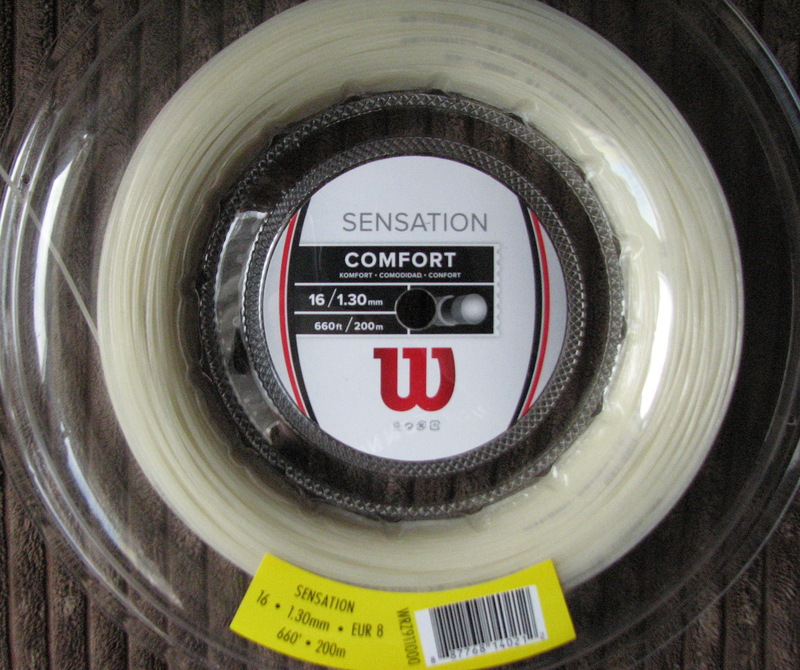 Known for its vibration dampening qualities, Sensation lives up to its long-standing reputation as an arm-friendly string that offers good power and spin. A lot of the benefits of pricier multifilaments in a more budget-friendly package. Video with way too much info. HERE don't do it, it's nearly 8 mins long! Synthetic Guts - for all round performance and value. 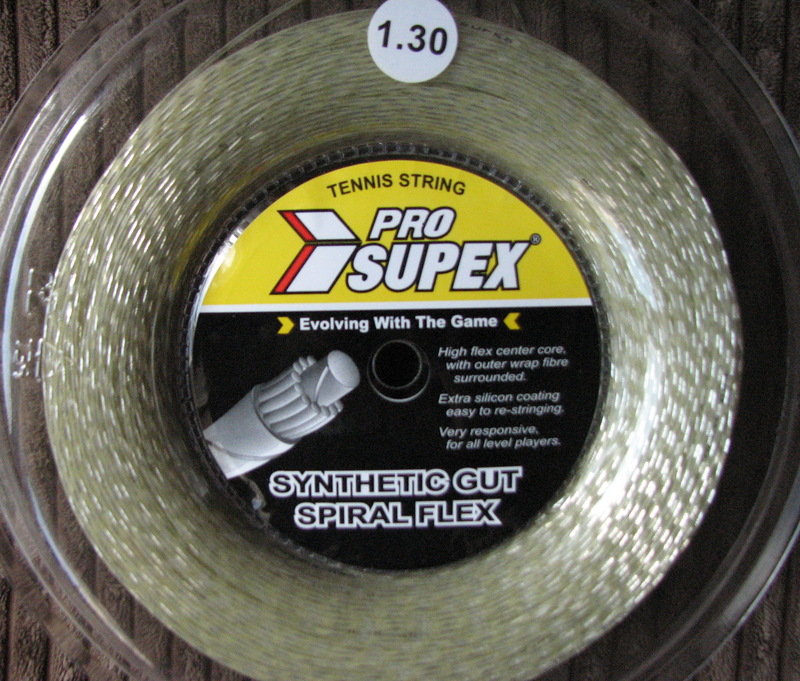 Pro Supex Syn Gut Spiral Flex is a direct competitor to Prince Synthetic Gut Duraflex (the most popular synthetic gut worldwide) and is commonly regarded as being superior! 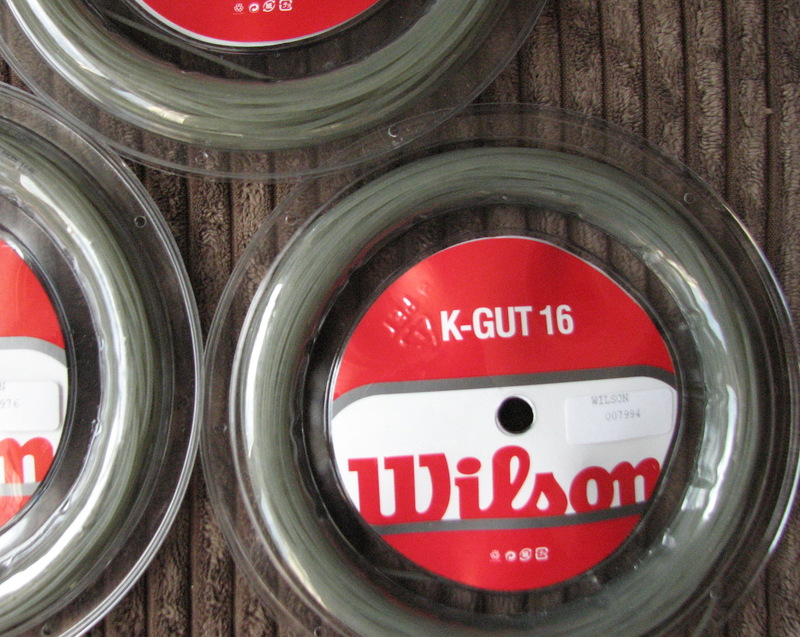 Excellent value for money with this string that offers very good comfort and playability. Solid Polymide core with single co-polymer outer wrap and polyurethane coating. 1.30 available in natural, blue or pink. 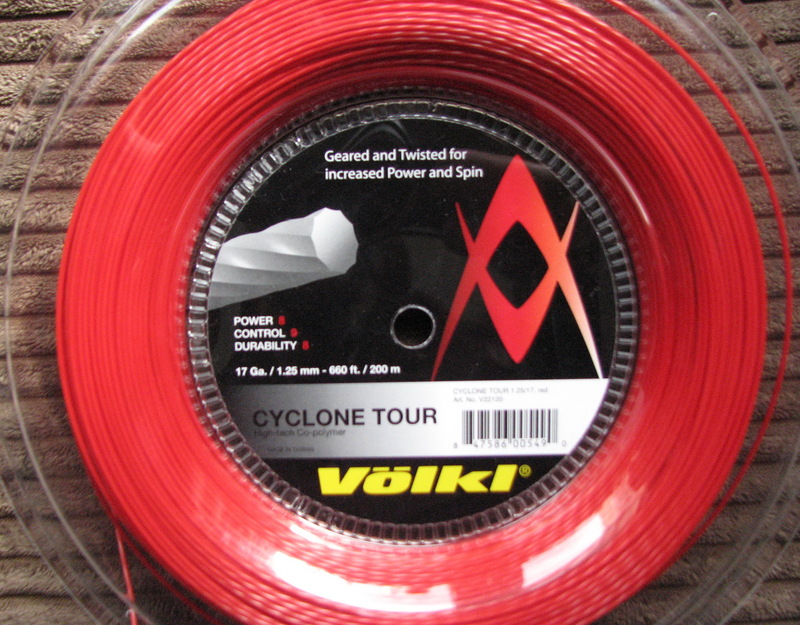 Volkl Cyclone is a gear shaped string which enhances spin but does not compromise ball speed, control and durability. This is a high quality co-polymer string. Great value and good choice for those who like to hit heavy spin. 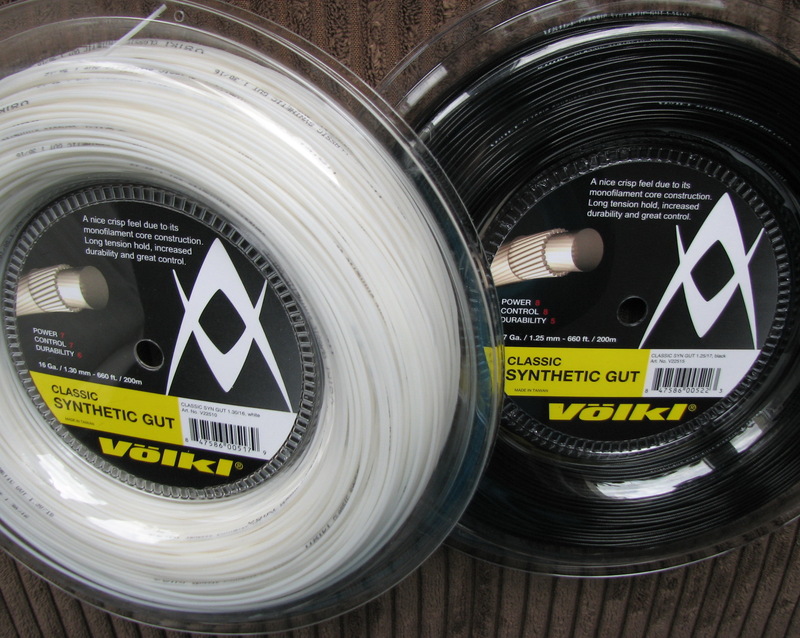 One of the world's most popular synthetic gut strings. Exceptional all around performance. Engineered with Duraflex for increased durability. Available in Purple, Yellow or White. 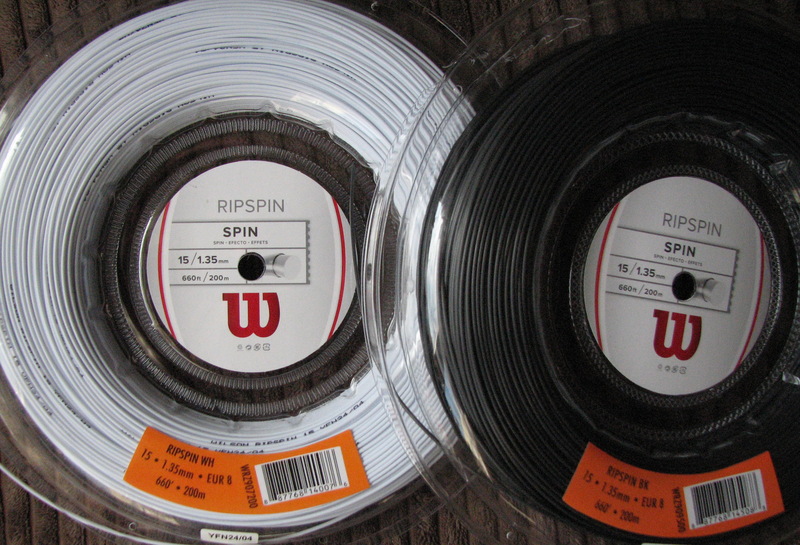 Ripspin has been succeeded by "Revolve" hence the bargain basement price. 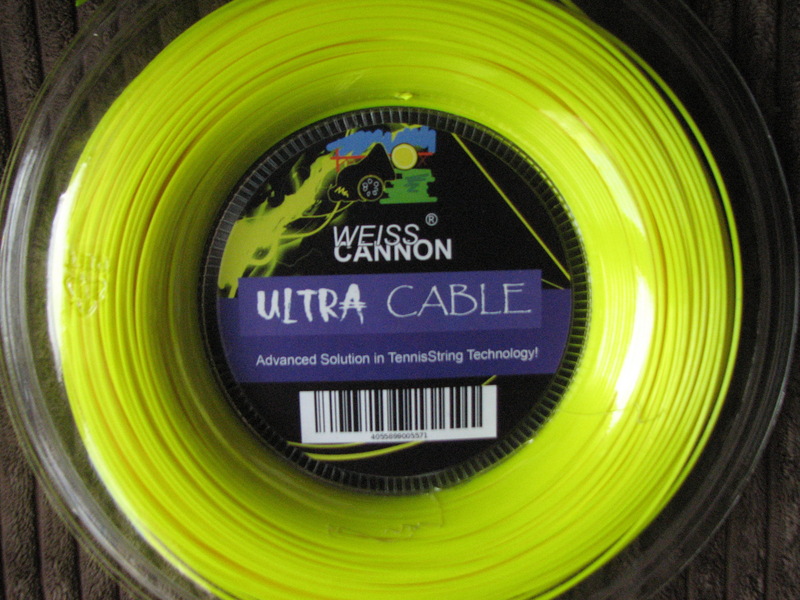 A multifilament string that is similar to Wilson sensation but slightly firmer and with enhanced durability. 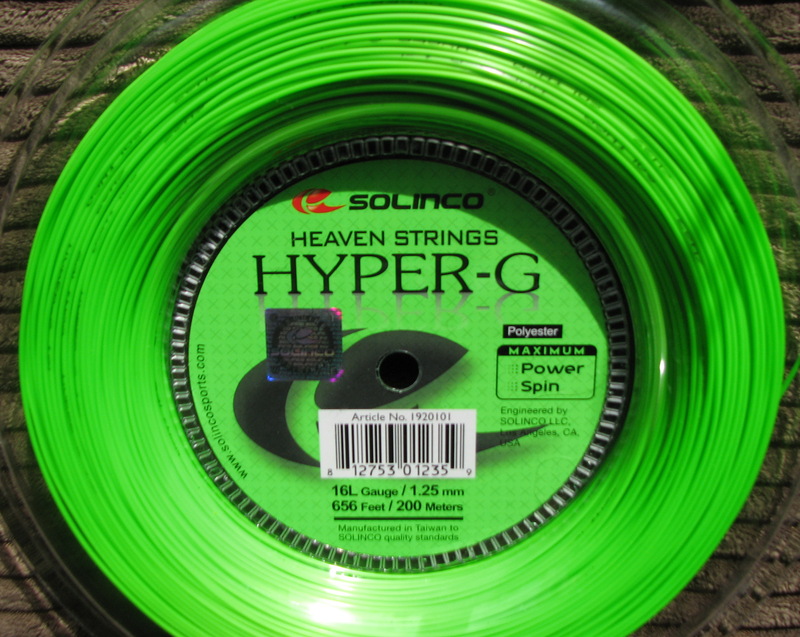 Shaped for maximum spin, this thin 17g version of Hyper-G is perfect for the modern topspin game. A great option for intermediate and advanced players looking to swing big. A comparatively springy co-poly designed for big hitters, has a softer response than the original Cyclone. This tour version of Cyclone has the same spin-friendly gear shape, but is twisted for increased ball bite. Best suited to advanced players who want a very playable co-poly with a little extra comfort and power. I usually have a few other sets or half sets (for hybrids) kicking around, the line-up constantly changes. Call or email for details. 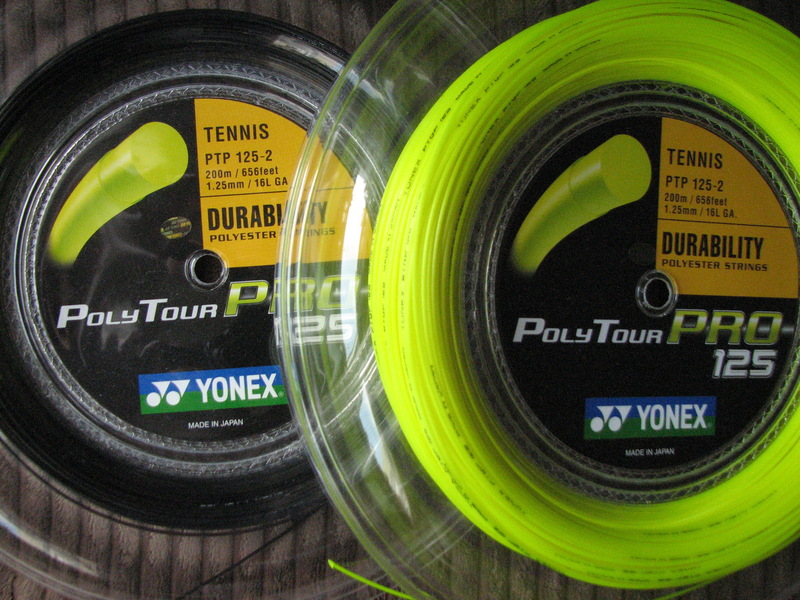 There is a massive range of tennis strings available from Stringers World. You can buy a set of something new to try and I will string it for you for only £10. 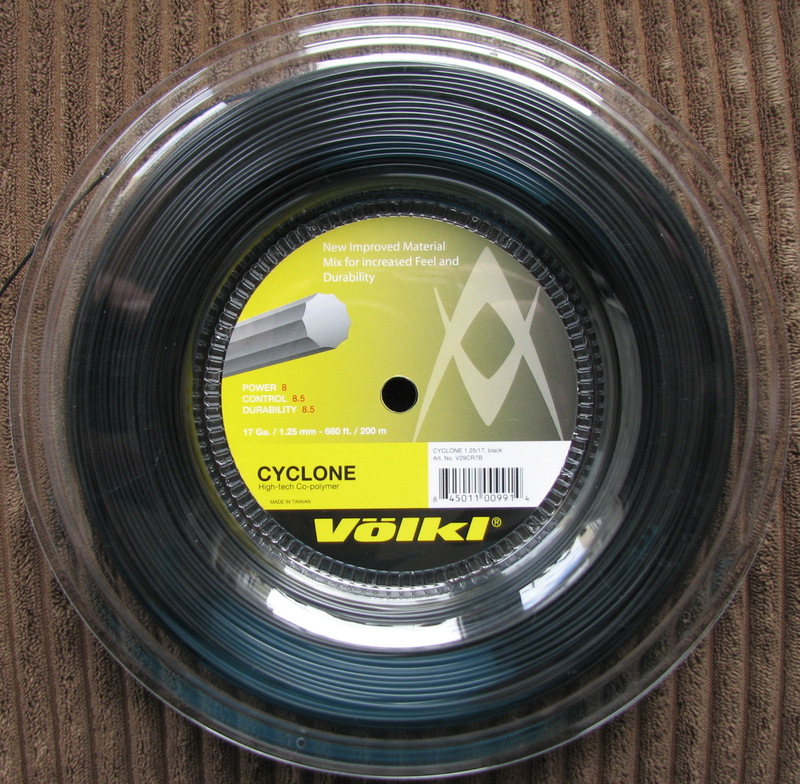 Or you could buy a reel of your favourite string, you should get 16 to 18 restrings from a 220 metre reel. Feel free to call me on 07773883734 to discuss any potential purchase.